Some links with a prefix like s1.fakeologist.com… will no longer work as I rearrange things. Chat.fakeologist.com… is now fakeologist.com… for instance. This entry was posted in Admin on February 29, 2016 by ab. More proof that all our biggest leaders of now and the past are controlled and trained by Jews (including the next president, Donald (Duck) Trump). This entry was posted in Jesuits, Power Structure on February 28, 2016 by ab. Miles Mathis updated his OJ essay to add some photos to reinforce that this is a CIA created fake trial, including this composite of “Nicole” with a 5 o’clock shadow. I guess MM reads Jungle. This entry was posted in Media Hoaxes, Psyops and tagged oj on February 28, 2016 by ab. We see now how new series are being funded by Netflix and Hulu, as the MSM media implodes. Major crime stories are fabricated for CNN by the military media psyOps production units. In fact, it’s probably why CNN was created in the first place. I don’t think Jon Benet was a real person, but I’ll still post this Russianvids for the other ideas. This entry was posted in Media Hoaxes on February 28, 2016 by ab. Who do you know Patricia? Look up and left Patricia – look way up – who do you know that was at the Paris hoax event? Sandy Hoax? Boston Bombing? Surely you know someone too that lost “someone” on 9/11? Injecting these ideas into the “flat earth” conversation may be the entire role of this “sweet talkin’ woman”. Other than that, the guy from Toronto seems pleasant. This entry was posted in Controlled Opposition, Deception techniques, Media Hoaxes on February 28, 2016 by ab. I like this guy’s smooth delivery. His show with Matt was bizarre since they both sound identical (it sounded like he was talking to himself). This show with Matt was bizarre since they both sound identical (it sounded like he was talking to himself). 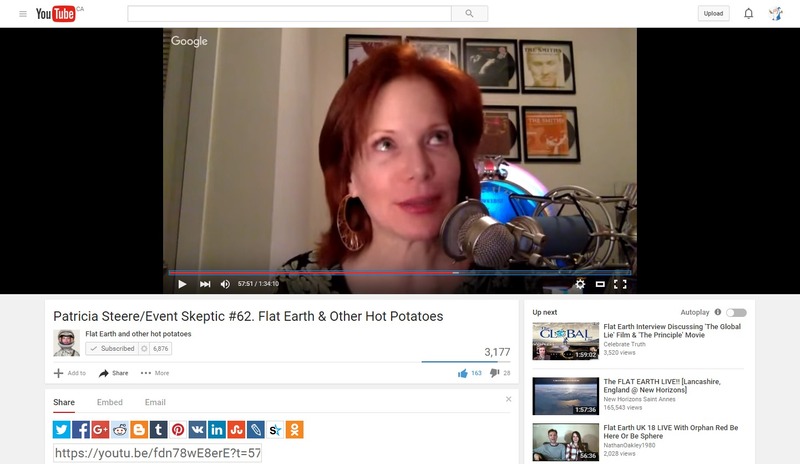 This entry was posted in Audio, NASA hoaxes, Recommendations on February 27, 2016 by ab. This entry was posted in 9/11, Celebs on February 26, 2016 by ab. Looks like Jungle Surfer is getting the views and attention he always wanted. His more off the wall buddy Dave Johnson (who seems to mock the vicsim idea by attaching crazy to it) can probably say an old video of his now went viral. Not sure which MSM outlet set the ball rolling. Tiny pageant princess JonBenet Ramsey wasn’t murdered in 1996. She grew up and is in fact none other than pop singer Katy Perry. I think the whole Jon Bonet was a staged hoax – and she probably never existed. Jungle may have mentioned this, but attaching it to Katy Perry is the part that spins the idea into crazyville. This entry was posted in Media Hoaxes on February 26, 2016 by ab. Barns are burning in Ontario. Question is, is the spate of fires accidental, deliberate (insurance), or staged (fake)? It’s a shame so many animals die before we can kill them properly for our carcass crunching non-vegan population. If we see some legislation surrounding farms and barns, be very suspicious. This entry was posted in Suspicious media events on February 25, 2016 by ab. Jay does his best to inject psyOps and “false flags” into the narrative. I’ve extended an invitation to Jay to talk. This entry was posted in Big Idea Post, Political Theater, Power Structure on February 24, 2016 by ab.